As Sales Representatives our customers are the reason for our business. Without them we have no business and providing good customer service is our primary job. In our efforts to get and keep customers we sometimes fall into the trap of trying to be all things to all people. We feel that we must do whatever it takes to make customers happy and get the order, especially when we are working hard to build our business. This can result in us being overwhelmed, or possibly risking our business for the sake of making a customer happy. To keep our business healthy we must learn when it is okay to say "I am not the Avon Lady for you". There will be rare cases when the best service we can provide for someone is NOT to serve them. If a potential customer needs someone who delivers to their home on Monday morning and you work another job on Monday mornings you would be unable to meet with that customer at that time. If none of the alternatives you can offer such as ordering through your website, or having the customer leave a check under that mat so you can drop off the order when they are not home then the best thing for that customer would be to refer them to another representative who's schedule is more compatible. The same principal applies to customers who may be in conflict with a practice or policy that you have set for your business. For example if you have decided that your business runs more smoothly when customers pay for orders when they are placed then a customer who is not willing to pay in advance may not be an ideal customer for you. You would have to decide if can afford to allow an exception to your policy and if you are willing to do it for that customer. When deciding how far you are willing to compromise for a customer you really have to consider if it's worth the compromise. For example, you have decided that you will always take off Saturday mornings to spend with your family. A customer who you normally deliver to during the week will be going out of town and will only be available on a Saturday morning. Making a one time accommodation is probably going to be worth it, especially if it is a good customer. That's different from someone who is regularly only available on Saturdays. If you haven't already, take the time to decide what your policies for your business will be and what alternatives you can offer to prospects if there is a conflict with those policies and what exceptions you can make. And it goes without saying that any customer who is disrespectful or extremely unpleasant is one you can feel free to cut loose. There are plenty of customers out there for representative who are looking for them. When you find them offer them the best service you are able and they will bring you more customers worth having. What' s in your bathroom? What products are in your bathroom? Since you are an Avon Representative I hope your answer includes mostly Avon products. I have always thought that using Avon products versus other brands was an obvious step in being a successful Avon Representative, but this week I saw a post by another representative on Facebook that showed me this may not be as clear as I thought. I personally came to Avon with a long time love of the products...my Mom and Gramma both used Avon when I was younger and My Mom was a representative for a while. As soon as I became a representative I began replacing the personal care products I had been using with Avon, after all if I wasn't using Avon products, why would I expect anyone to buy them from me? If you're not already using Avon products, think of all the toiletries you use each day. Starting with your morning shower, you've got shower gel, shampoo and conditioner, facial cleanser and shave gel or hair removal cream. Once you're dried off you have body lotion, face cream, eye cream and styling products for your hair, plus a little spray of your favorite fragrance. Of course if you wear make up we've got you covered there too. These products are going to be a better value than the majority of other brands because they will either be less expensive than the alternative or a better quality than the cheaper options. I you have already converted your bathroom to an Avon bathroom, it's time to start working with your customers and prospects (especially those who say they can't afford Avon) and help them make the switch. The more customers you get stocking their vanity with Avon instead of the other brands, the more you will see your business grow. Once you have your customers getting the products they use every day from you be sure to keep track of what they use so you can make sure they don't run out of their favorites and always get them at the best price possible. That's an added bonus we offer that the big box and drugstores can't offer. This summer is the perfect time to make your self the makeup expert that your customers turn to. Avon has 2 super makeup launches coming over the next few campaigns. Campaign 17 introduces new Mega Effects mascara. For 50 years the one thing that the thousands of mascaras introduced have in common was the way they were applied, with some variation of the brush at the end of a stick applicator. Mega Effects turns that idea on its side. With its innovative new brush you can cover your lashes from root to tip, corner to corner in one swipe. You can visit youtube to view the official Avon videos for Mega Effects as well as tutorials created by representatives across the country. Choose your favorite and share that with your customers and on your social media networks. In Campaign 19 Avon will be relaunching our core eye shadow and lip color lines. New True color technology gives truer colors in the True Color Eye Shadows, Ultra Color Lipstick, and Glazewear Liquid Lip Color. In addition to new formulas the color palettes have been updated. You can review your customer history in the web office to find your customer's favorite colors. If their color is in the updated palette offer them a sample of the new formula. If their color has been discontinued consult the conversion chart in the What's New to offer them a sample of a similar color, or show them the clearance sale in Campaign 16 so they can stock up on their favorite while it's still available. I also recommend making AvonProductsInc one of your favorites on YouTube.com. There you will find the official videos about all of our makeup lines, complete with application tutorials. 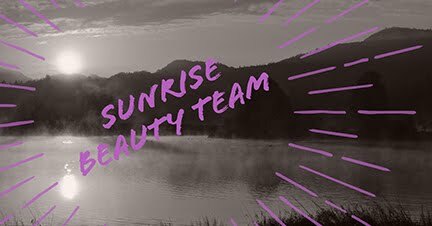 There are also many talented Avon Representatives who post their own how-to videos. Again, share your favorites with your customers and social networks to set your self up as their go to source for all things makeup. Most of all, get a few demos of the new products and just play. Some of my best makeup looks and application tips have come from just being willing to play in my makeup. Unfortunately one of the less than pleasant things about having your own business is people who make their living by scamming hard working people. There is a particular type of scammer who tends to target online, independent retailers like direct sales representatives and people who sell on ebay, craigslist and the like. Here is what to watch out for and how to protect yourself. Typically the scam will start with a "contact me" request through your website. The prospect will only include an name and email address and no other information. While a contact request with only an email address does not automatically mean the contact is a scammer, in my experience most genuine prospects will include a phone number or address. Because there is always a chance it is a real prospective customer you send them a message asking how you can help. They will reply and thank you for your quick response. They will want to place a big order, often with multiples of each item, and they will not want to handle the payment or delivery of the order in the typical way. They will say they are from outside of your area but want to deal with you personally, usually because they will be coming to your area for some kind of business or event which is what they need the products for. Most often they will tell you that they cannot make the purchase online because they don't have or can't use a credit card. They will ask for the address where they can send the check. If you gave them the info, they would send a check for much more than the amount of the already large purchase and ask you to cash it and either return the excess to them or pay someone for them. The checks are fraudulent and it will take a few weeks but when the check is found to be fraudulent you are on the hook for the money. They will either ask you to ship it to an address they will include with the check or say that they will arrange shipping and ask for your address to have their own shipper pick the order up. The messages also tend to have really bad grammar, like a computer translated it from a foreign language, and the speech in them just seems unnatural. These are just the most common red flags you will see in these messages so if you ever get a message that just doesn't seem right to you, feel free to forward it to me and I can let you know if it looks like a scam. To protect yourself in general don't take checks by mail from someone you don't know, especially for a large amount, and don't take checks or money orders for more than the purchase price. There really is no reason for you to ship products to a stranger yourself. Shipping for direct delivery orders through our website is only $3 and that is only if the order is under $30 and there are no free shipping codes available for smaller order. This is less than you would pay to ship any order via any carrier. If they can't use a credit card, then they should be looking for a local representative they can meet in person to pay by cash. Again if you have any doubt at all about an email order please don't hesitate to call me and remember if it looks too good to be true, it could be and it's better to be safe than sorry. One way to increase your sales is to give Customers and Prospects an opportunity to try before they buy. One easy way to do that is by using samples and samples can make a huge difference in your business but they only work if you use them. Choose a single sample to feature for a campaign. It could be something new or something that is on a really good sale in this campaign. Include that sample in every brochure that you give out and/or every order you deliver for that campaign. Tape the sample to the page, with the top edge or corner sticking out of the brochure to be your customers see it. As you do your follow up for that campaign ask everyone how they liked it. Choose several samples (aim for 4-6) to feature for the campaign and buy 1-2 packs of each to make "lumpy" brochures. Tape the samples on the page where the product is featured (this is what makes the brochure lumpy. Choose 5-10 customers to receive the "lumpy" brochures. Choose different customers each campaign and don't worry about choosing the right color/scent/formula for the customer. You can put a label on the book or tell the customer when you give them the book that the samples may not be perfect for them, but you'd be happy to help them find just the right product for them. And they can feel free to pass the samples on to someone they know who might like them. When possible, have the customer try the sample while you are with them. This not only increases the chances they will actually try the sample but gives you the opportunity to use their initial reactions to close the sale or help them find something that would be better for them. With skincare samples offer to give the customer a "handcial" while you are with her. Use the skincare sample on the back of one hand so she can compare it to the untreated hand to see the immediate results. With fragrance samples, open the sample and give it a moment to breathe before handing it to the customer. Fragrances are mostly alcohol and if you sniff the sample the moment it's opened you will smell mostly alcohol. If the customer likes the scent on the sample they should then try it on and see how it works with their individual chemistry. Use samples as a gift for service people you interact with throughout the day. Give a sample and business card or even make a small goodie bag of samples to share with cashiers, waitresses and other service providers you meet while you are out and about. If they respond positively and seem interested in Avon, be sure to get their information for follow up. You place a $25 order every campaign for your personal/family needs and enjoy the discount. In addition to your $25 personal purchase, you order 10 brochures to share with family, friends and co-workers. As a result, you pick up two additional orders of $20 each. In addition to your $25 personal purchase, you order 50 brochures to share with family, friends and co-workers; plus approach 3 people every day, Monday-Saturday, and meet your neighbors to distribute the remainder. As a result, you pick up 10 additional $20 orders. In addition to your $25 personal purchase, you order 100 brochures to share with family, friends co-workers; plus approach 3 people every day, Monday - Saturday, and meet your neighbors to distribute the remainder. As a result, you pick up 20 additional $20 orders. As you are handing out the brochures you want to get a name and contact information (phone, email or address) so you can follow up with your new contact. This allows you to take control of your business by contacting those people who have the brochure to ask what you can get them that campaign. If you have time to chat with them before leaving them with the brochure, let them choose from 2 or 3 samples that you have to offer for that campaign. I try to have fragrance, skincare and either a makeup or haircare samples available each campaign to offer with my brochures.